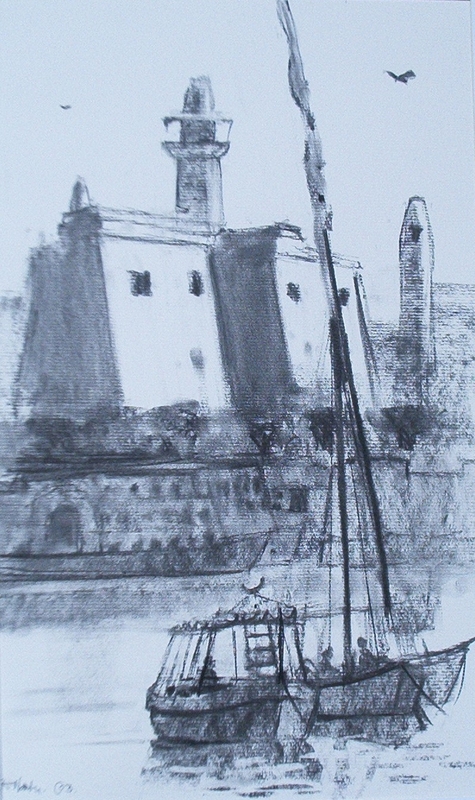 This charcoal study depicts the entrance to Luxor Temple which is marked by the 24metre high First Pylon built by Ramses II. This is a view of the first pylon seen from across the Nile on the West Bank. You can see the great gateway, the two mosques and the tip of the remaining obelisk, with felucca and river taxi in the foreground.